Oman's Foreign Ministry re-affirmed the country's commitment to the Palestinians a day after the minister responsible for foreign affairs said it was important to reassure Israel that it was not threatened. Oman's Yusuf bin Alawi bin Abdullah made the initial comments on Saturday in Jordan at a World Economic Forum event. Oman is now trying to re-assure the Palestinians too with tweets and meetings on Sunday. 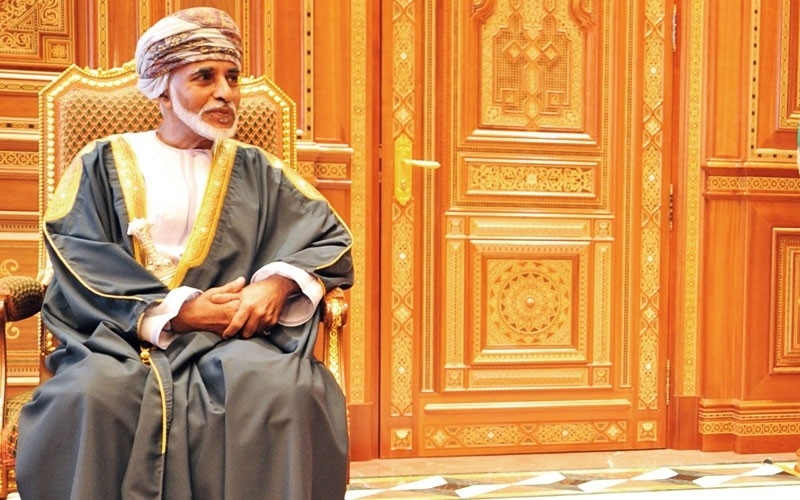 Last year Oman hosted Prime Minister Benjamin Netanyahu for a historic visit. At the Jordan conference Alawi said that Israel had fears due to being a non-Arab country in the region. "I believe that we Arabs must be able to look into this issue and try to east those fears." He said this would help the future relations between countries. He also met Palestinian Authority President Mahmoud Abbas on the sidelines of the event. At the meeting he discussed developments in the region and Jerusalem. "The Sultanate's consistent position in support of the Palestinian brethren in their aspirations for the establishment of a Palestinian state with East Jerusalem as its capital, as well as efforts made by the Sultanate in supporting the causes," were emphasized, the foreign ministry said. Prime Minister Netanyahu met Alawi in Warsaw in February. Israel's foreign ministry released a statement saying that "we discussed additional steps we can take together with the countries of the region in order to advance common interests." Alawi said the meeting was important. "This is a new era for the future and prosperity for every nation." But Oman has said that a two state solution must take place for normalization to happen. Jordanian Foreign Minister Ayman Safadi responded to Alawi's comments in Jordan by noting that the Arab world has recognized Israel's right to exist. "The issue is that there is an occupation." He responded to the Omanis that the problem is not the Arab assurances, "the problem is with Israel doing what is right for peace." The World Economic Foreign event in Jordan comes at an important time for Jordan and also for the region. There is concern about the US administration putting forward a peace plan and what it might entail. Despite having a peace agreement with Jordan Israel was not present at the event, a symbol that even though there is peace, Israel rarely is able to participate in regional events.